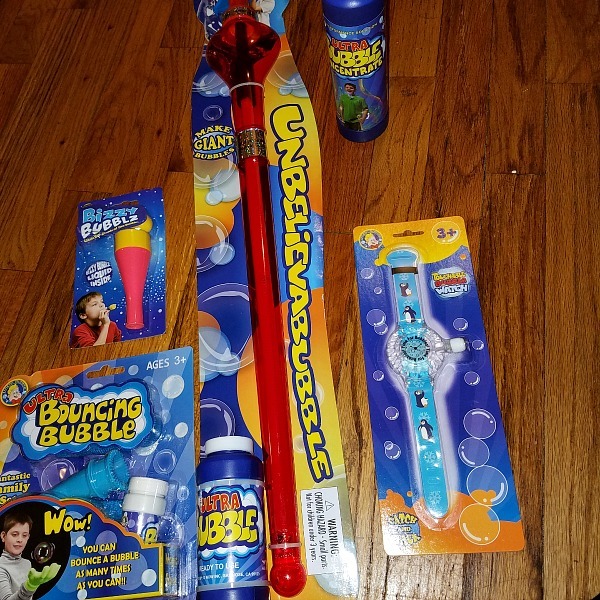 Uncle Bubble toys bring you fun new ways to make all different bubbles. You can make tiny bubbles and also very large bubbles. 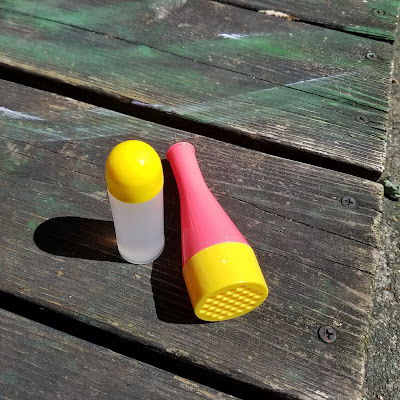 My kids absolutely loved these products. 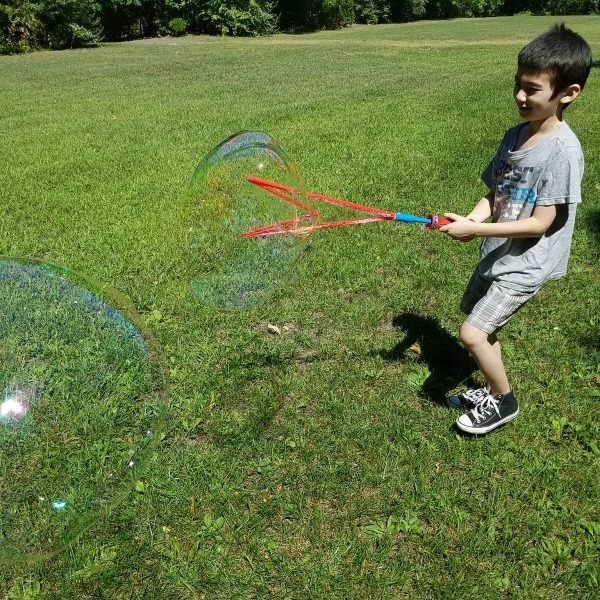 Even my son who is more into video games these days, loved making the large bubbles with the Unbelievabubble wand. 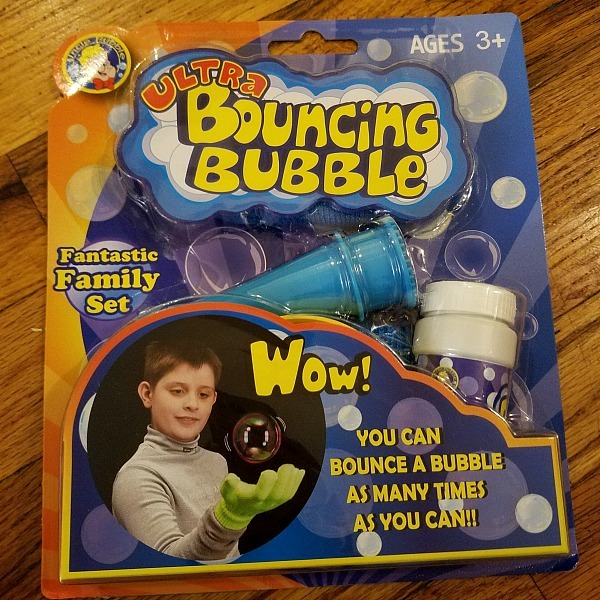 The Ultra Bouncing Bubble comes with 2 gloves. You pour the special liquid into a small tray and blow a small bubble. You are then able to bounce the bubble with the gloved hand. 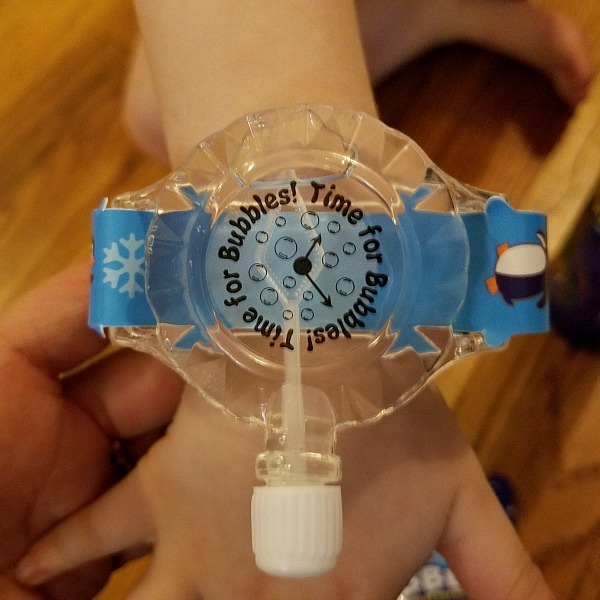 The bubble watch is cute for little kids. Its a great idea for stocking stuffers or birthday party favors. It has a tiny wand and bubble liquid inside. The Bizzy Bubblz is pretty neat. It has these tiny holes, to make tiny bubbles. You rub the bubble liquid on the surface lightly and then blow out. The Bizzy Bubblz make super small bubbles. The photo of my daughter using it we added too much liquid to the surface. This is Noah playing outside with the Unbelievabubble large wand. This was a really cool bubble making tool. Making these really large bubbles. Bubbles are the perfect outdoor toy. Everyone loves to make and pop bubbles. Do you know anyone who would enjoy making bubbles? My kiddos LOVE making bubbles! I think they might find those bubble watches in their stockings for Christmas this year! What is it with kids and bubbles?! Mine absolutely LOVE bubbles so they would want to try out all of these! These look like cool bubble toys! 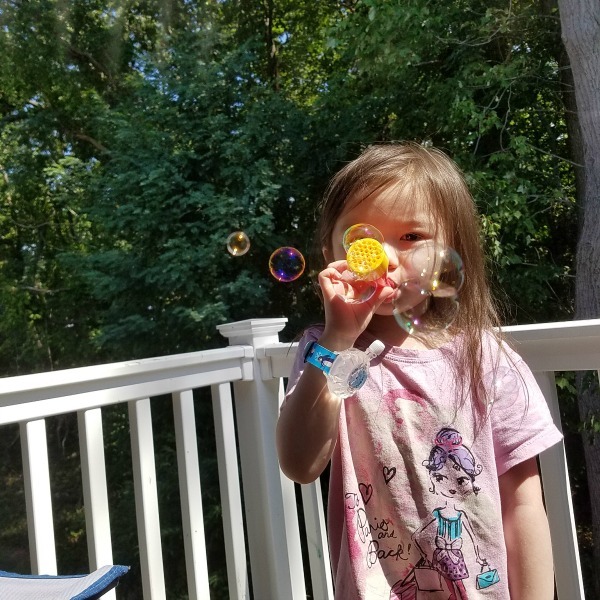 My kids all still love bubbles and actually, so do I! My kids were always fascinated with bubbles. It's such a simple item but it can create hours of fun. I want a bubble time watch. These look so fun! My kids have such an obsession with bubbles! This is going to be worlds of fun! There's something timeless about playing with bubbles. It looks like you had so much fun with the bubbles. It is such a great outdoor activity. I think bubbles make any party, or any day, better. Everyone loves bubbles! We try to have great products but not sure we have those, so they are going on the list! Bubble toys are the best, they make anyone smile! Perfect for outside fun! When my kids were young they loved bubbles. These are so really fun and new products you are showcasing here.